TWO 2005's vyed for my attention this PM. 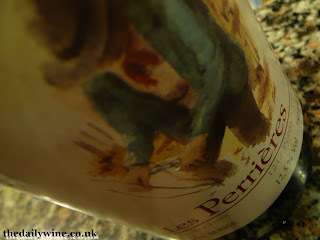 The first, a Gamay grown on 'crumbly sandstone' near Geneva - Les Perrières '05, was bright and eager, capably 'scaling the wall'. With dark cherries and diced banana segments coated in caramel on the nose, this handmade wine had some unsweetened rhubarb on the long-lived palate, which culminated austerely. 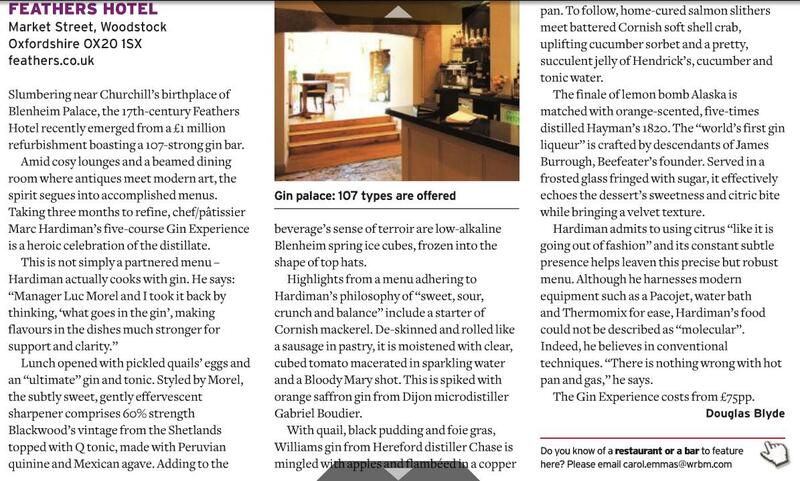 This was my first date with a Swiss; less than 2p/c of her fermented-fayre is exported (mostly to Germany). 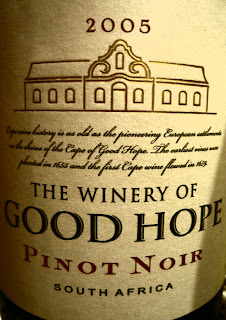 From Switzerland to Stellenbosch, The Winery of Good Hope makes and markets several badge-brands (Radford Dale, Black Rock and Vinum). Whilst the aim of the winemaking team is to '...capture the delicacy and fragility of Pinot Noir ... not to produce a typical warm climate Pinot on steroids...', here is a bottled struggle of that statement. With some tar, dark bramble fruits, peppered raspberries and untempered alcohol, this is an albeit commanding tiger baring its teeth. Two wines in one glass.